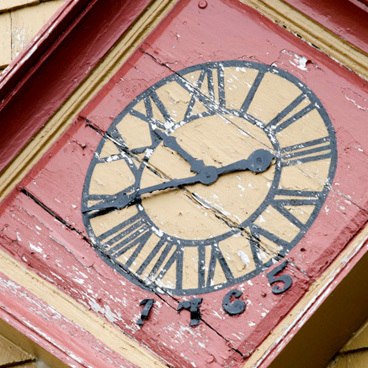 For two centuries, people have gathered at the Old Meeting House for both township business and religious worship. A National Historic Site, this New England-Style meeting house is the oldest nonconformist house of worship in Canada and among the oldest in North America. 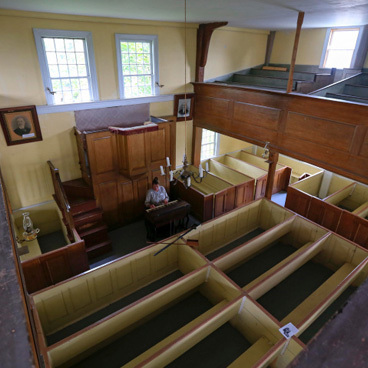 Built by Congregationalist fishermen and farmers from Cape Cod, called Planters, the meeting house was a building-in-progress for its first hundred years, until the windows, doors, box pews and a pulpit were added by the mid-1800s. During your visit, go on a guided tour to learn how this area was settled and hear stories about the original settlers. Are you interested in sharing your thoughts on local heritage sites and do you reside (permanently or seasonally) in one of the following: Municipality of the District of Argyle, Municipality of the District of Barrington, Municipality of the District of Shelburne, Town of Clark’s Harbour, Town of Lockeport or Town of Shelburne? Please click here to proceed to the survey and contribute to a Saint Mary’s University graduate student research project. In the 1800s, the Barrington Woolen Mill was an important local business that used machinery and water power to turn raw fleece into the yarn and cloth needed to make warm, durable clothing. Powered by the mill's rushing river, machines like the spinner, twister, skeiner and loom made it possible to wash, pick, card, spin, dye and weave wool in a fraction of the time it took to do by hand.